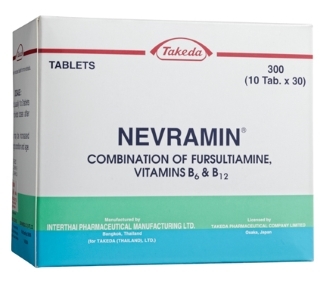 Fursultiamine is a synthetic version of vitamin B1. If you give it to mice, their stamina increases spectacularly - and their muscles will get stronger. All without training. This is shown by a study that Taiwanese researchers published in Nutrients. 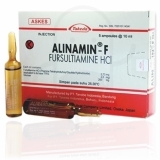 Fursulftiamine's official name is thiamine tetrahydrofurfuryl disulfide [TTFD]. It is a synthetic variant of thiamine or vitamin B1, which due to its structure is more easily absorbed by cells from regular thiamine. Once in the cells, fursultiamine does what regular thiamine does as well: it clings to phosphates, and forms molecules that provide the cell with energy. In many Asian countries, fursultiamine is on the market as an OTC drug for fatigue, in the West you can find fursultiamine in weight loss supplements and sometimes in preworkout formulas. Usually it is in a vague proprietary blend, of course in unknown but undoubtedly small quantities. The researchers gave mice an oral dose of fursultiamine every day for 6 weeks. If the mice had been adult people, they would have received 0, [Vehicle] 800, [TTFD-1X] 1600 [TTFD-2X] and 4000 milligrams [TTFD-5X] fursultiamine daily. After the supplementation period, the researchers let the mice run as long as they possibly could. At the bottom left you see that the animals lasted longer as they got more fursultiamine. At the top right you see that the supplementation also made the animals stronger. The strength with which they could pinch their paws had in the animals that had that had been given the vitamin analogue. Supplementation with fursultiamine had increased the amount of glucose in the cells. After the mice had run, there were also less degraded proteins [BUN] and creatine kinase [CK] in their blood if they had received fursultiamine. Fursultiamine apparently protects muscles against exercise-induced breakdown. "Thiamine is widely accepted as a pharmaceutical supplement to maintain the physiological function with an Recommended Dietary Allowance dose", write the researchers. "In the current study, we proposed that the higher thiamine derivative, thiamine tetrahydrofurfuryl disulfide, could significantly improve physical activities and physiological adaption with evidence-based safety validation." 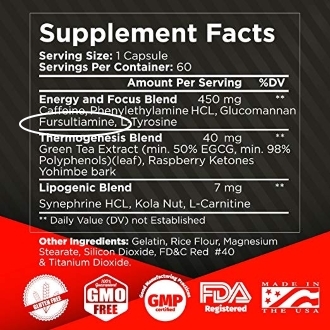 "For practical applications, we recommend that athletes should consume a daily intake of 40 mg/kg thiamine tetrahydrofurfuryl disulfide (equivalently converted from a mouse 500 mg/kg dose, based on body surface area between mice and humans by the formula from the US Food and Drug Administration, to improve energy regulation for higher performance in a combined nutritional strategy, including carbohydrate loading for efficient energy demand during extended exercise." For a 70 kilogram athlete, that dose would therefore amount to 2800 milligram fursultiamine per day. We are afraid that this dose may be way too high. Here you will find a posting about a successful human study with a lower dose. Many sports supplements contain a mild stimulant that shows up as the anabolic steroid boldenone in doping tests. In 2012 Chinese epidemiologists discovered that a diet containing relatively large amounts of thiamine reduces the likelihood of depression. Vitamin B1 – chemists call it thiamine – is a mental pep pill. Human study.